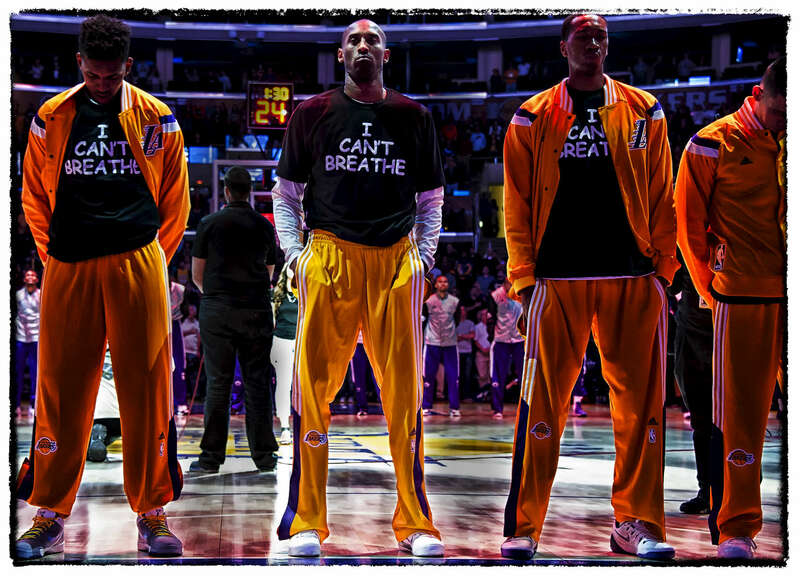 "I Can't Breath" - This image is a very powerful one to me. You see two other teammates "pushing" the NBA dresscode policey to make a statement. Kobe had no fear and boldly let the world see his stance. Before players took a knee, Kobe with help from Nike, used his platform for those who did not have one.